Famed Irish sportsbook Paddy Power has agreed to a “voluntary settlement” with the United Kingdom Gambling Commission [UKGC] to resolve alleged lapses in oversight regarding the company’s monitoring and reporting of three different problem-gambling or money-laundering cases. As a result of the settlement. 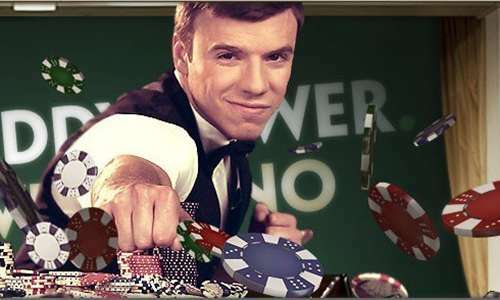 Paddy Power will donate £280,000 to an agreed-upon “socially responsible cause,” which will prevent the company from receiving an official fine for the violations and lapses in judgment uncovered by the UKGC. The £280,000 represents the profit the company is believed to have earned from the three customers at the focus of the UKGC’s investigation. Paddy will also pony up an additional £27,250 to the UKGC itself to cover the investigative expenses incurred by the regulatory and watchdog agency. All of the incidents detailed in a recent statement issued by the UKGC focus on the same core problem, an alleged failure by Paddy Power executives to thoroughly investigate and take action in the various incidents involving Paddy customers who were observed engaging in suspect or addictive behavior. The saddest of the three episodes involved a former Paddy Power customer who became addicted to the controversial FOBT (Fixed-Odds Betting Terminal) machines. The addicted punter, identified only as “Customer A” in the UKGC report, fell into increasing addiction in early 2014. At one point the customer had told Paddy employees, who were monitoring his activity, that he owned a number of restaurants, though it later turned out that he was working five different jobs and spending most of his money at the FOBT machines. Eventually, betting shop employees followed the increasingly distraught customer from the shop and learned that he had lost all his jobs, was homeless, and had even lost visiting rights to his children. Another of the episodes involved the well-publicized case of Mark Cooney, a bank employee in the city of Plymouth, a coastal hub in Devon in southwestern England. Cooney had defrauded various bank customers out of at least £250,000, and had spent a good share of that ill-gotten wealth on an online Paddy account. The UKGC investigation found Paddy had lapsed in its efforts to determine the true nature of Cooney’s wealth, failing the basic KYC rules in place for UK-regulated books regarding high-volume customers. The third episode involved a woman seen repeatedly laundering Scottish bank notes by inserting them into betting terminals, then immediately cashing out pay tickets while doing little or no betting. Paddy management had failed to complete a proper “suspicious activity” report on the client, referred to as “Customer B,” and eventually filled out the proper paperwork once government investigators came calling. It turned out the woman was connected to a London crime group and was believed to be laundering the proceeds of various illegal activities.